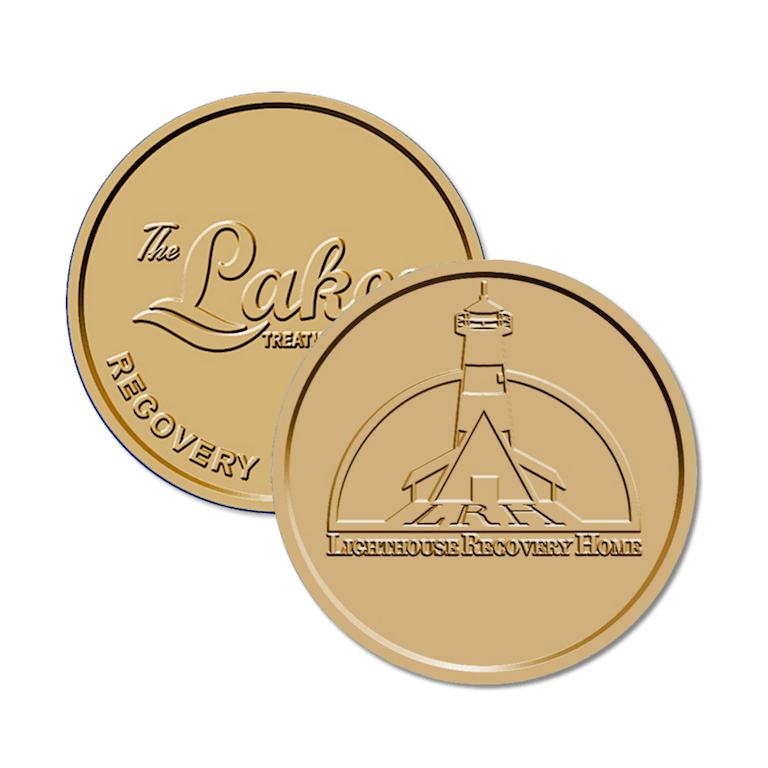 The Token Shop is proud to offer you Antique Bronze AA Coins, and AA Bronze Chips from these two wonderful manufacturers. 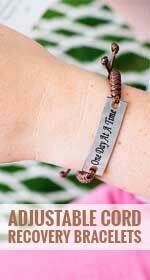 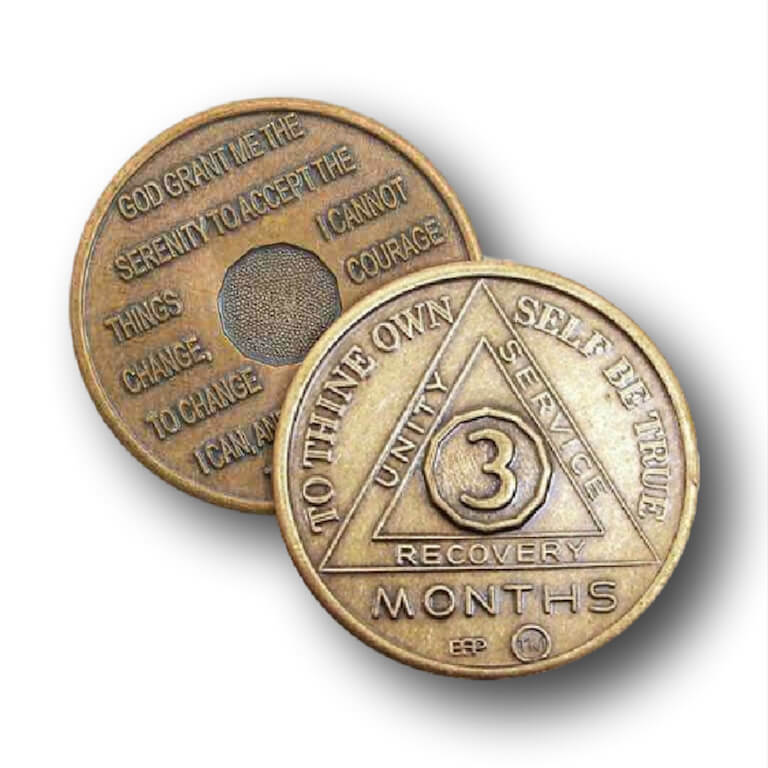 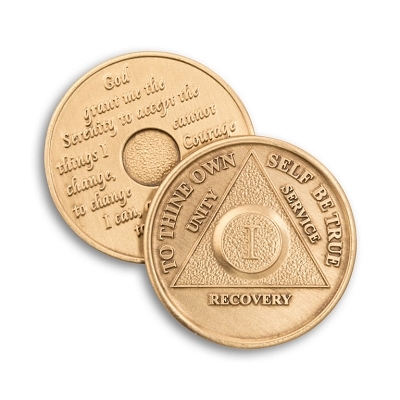 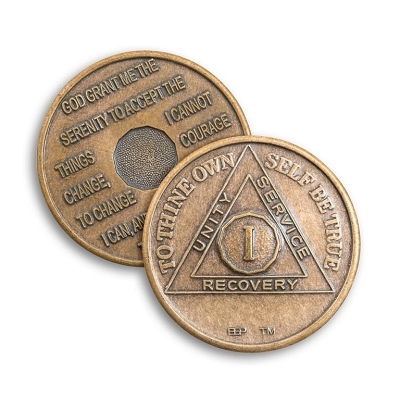 Sometimes called "Heavy Metal" these bronze AA Coins will stand as a silent reminder to the recipient that they have achieved a true milestone in recovery. 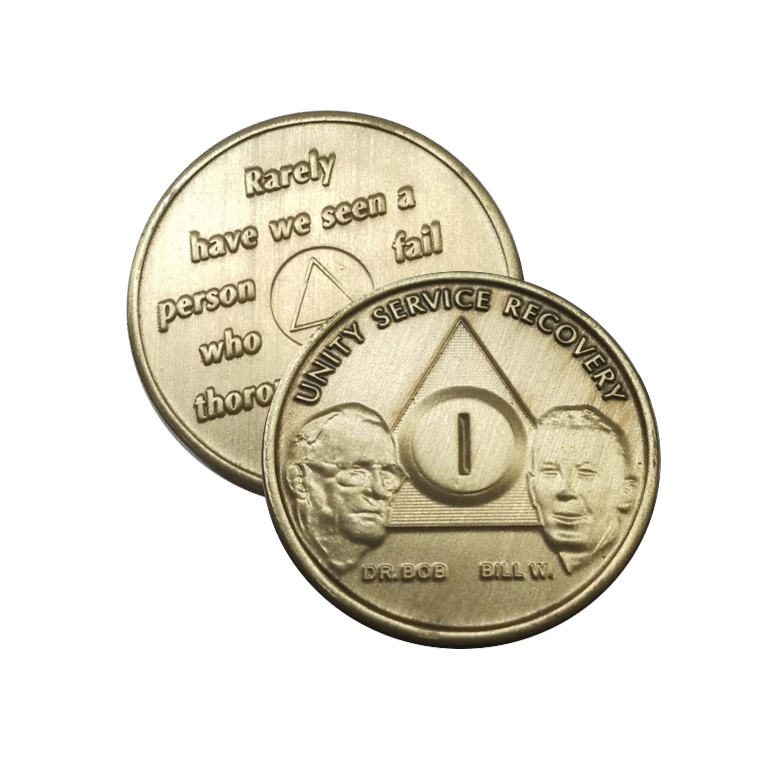 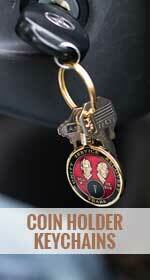 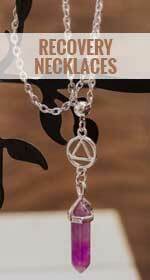 Both Manufacturers offer exceptional AA Chips and AA Coins at best prices around. 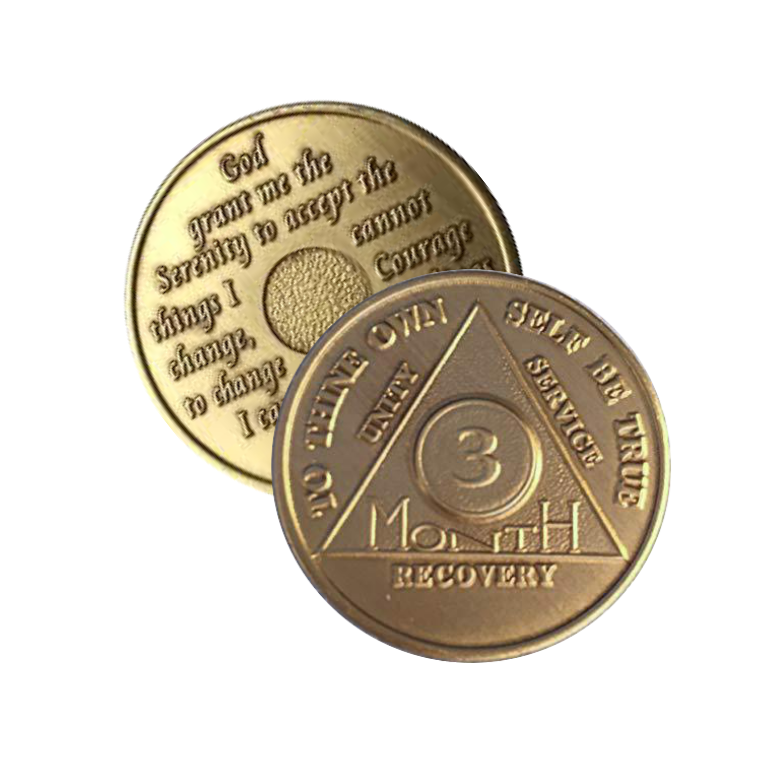 There is no better way to celebrate that AA Anniversary than with an Antique Bronze AA Coins or AA Chips from Wendells or Bright Star Press. 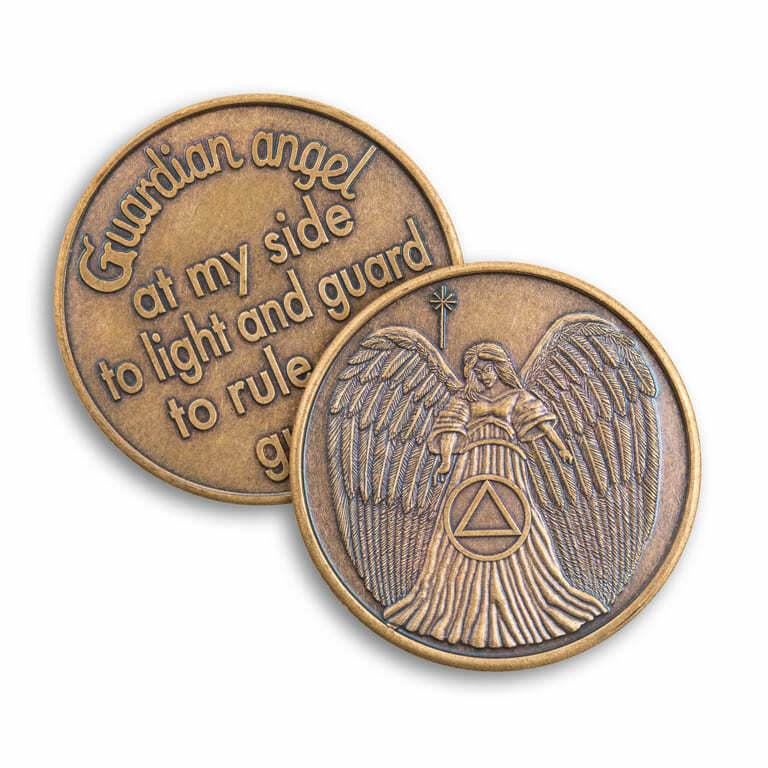 Either of these manufactures offers superb craftsmanship, the feature the serenity prayer on the reverse side of the AA coins and the circle triangle motif is prominently displayed on the front of the AA Coins.